We have featured quite a few different MacBook decals here at Geeky Gadgets, from the cool Skateboard MacBook Decal to the fun Iron MacBook decal, as well as some awesome iPad ones like the Giving Tree iPad Decal. Here is another cool one that will give your MacBook and individual look, the Newton Tree MacBook Decal. The Newton Tree MacBook Decal is available for the 15 inch MacBook Pro, but it can also be ordered for other sizes of the MacBook pro and also the MacBook. 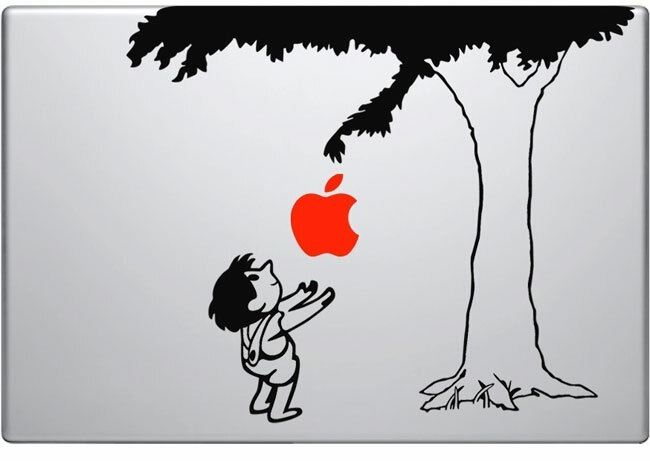 If you want one, the Newton Tree MacBook Decal is available for $10.99 from MacDecal.